Some of the current Social Democrat Party (LSDP) chairman’s deputies while performing poorly in the single-mandate electoral district, somehow are highly placed in the LSDP electoral roll, in fact rising in their ranking there. Political scientist Algis Krupavičius believes that this is due to them being unpopular, but having done much work in party structures to support party colleagues. In this regard the Social Democrats are in a sort of “nomenclature trap”, but the same can be said of some other parties as well believes Krupavičius. The number five is a number of crushing defeat for many of the current or former deputies to the LSDP chairman. ELECTIONS. Social Democrats – better off in the opposition? Former LSDP leader Gediminas Kirkilas only took fifth place in the Vilnius Justiniškės single-mandate district. Meanwhile this politician was not only rated sixth on the electoral roll initially, he was even rated to second through priority voting. The number five was fatal for incumbent Minister of Justice Juozas Bernatonis as well. In the Karoliniškės district he not only failed to reach the second round, but also took fifth place, same as Kirkilas. Surprising many colleagues, however, he moved from 17th place to 12th. The deputy Chairman of the LSDP and election campaign manager Algirdas Sysas was also left fifth in his Šeškinė district, albeit managing to hold on to a high fourth position on the electoral roll, dropping by two positions. 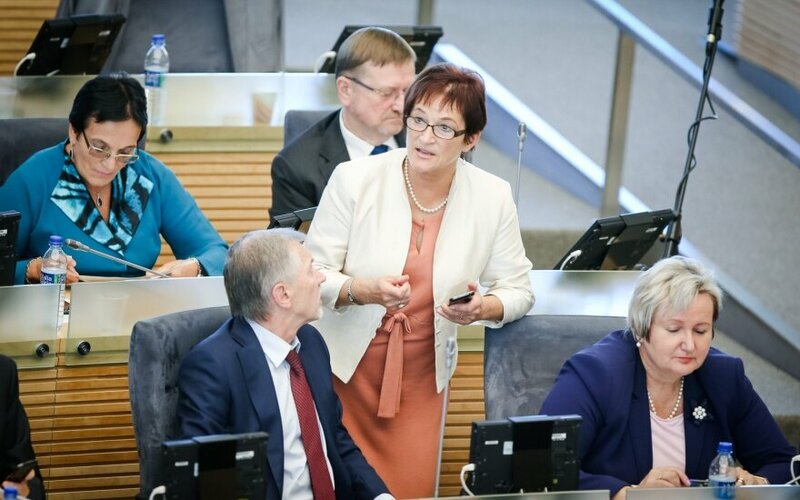 Former deputy Chairman, Lithuanian Female Social Democrat Union Chairman Birutė Vėsaitė was also left fifth in the Šilainiai district, while managing to hold on to her place in the electoral roll – 18th. Vilnius University Institute of International Relations and Political Science (VU TSPMI) lecturer, political scientist Mažvydas Jastramskis says that it is impossible to compare the results in the single-mandate districts with achievements in the multi-mandate district – multi-mandate results are more based on internal politics, results in single-mandate districts – more on voter sympathies. “We should separate internal and external communication. You could mention the Homeland Union – Lithuanian Christian Democrats (TS-LKD) here. Mr. Andrius Kubilius is a rather unpopular politician, but he is still highly rate on the electoral roll. The people who voted for the LSDP may have given their priority votes simply to those higher up on the electoral roll. On the other hand we cannot view the electoral roll and the single-mandate districts as equal. There can always be a concentration of people who dislike the Social Democrats,” the political scientist mused on how the Social Democrat elite were crushed in single-mandate districts, but rose in the electoral roll through nation-wide priority votes. Meanwhile Vytautas Magnus University (VDU) professor A. Krupavičius explains that some of the LSDP elite performed so poorly in single-mandate districts, while still rising on the electoral roll because they worked with their colleagues, not with voters. “It could be that the district chosen by the politician is overall anti-Social Democrat. 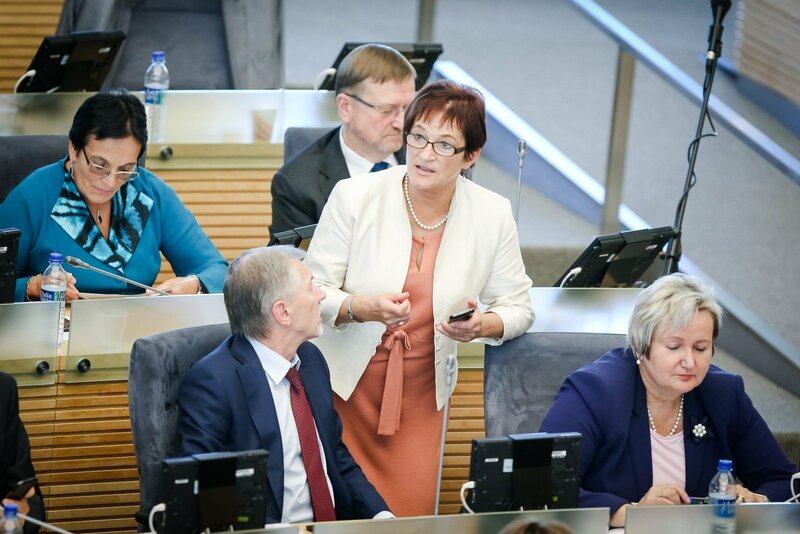 B. Vėsaitė, I believe, knew that she cannot expect much support for her candidacy in Kaunas. And there are other high profile party members, who are not inclined to participate in the single-mandate districts and are not even competitive when the LSDP is successful,” spoke the professor. A. Krupavičius states that this is primarily because such politicians do little or no work directly with voters in the districts. “The party elite do, however, do a great deal of work in convincing party structures to rate them highly. Currently many voters do not give priority votes at all. Not rating means that the electoral roll remains the same as given. Particularly for those at the top of the list, such a system is absolutely secure,” says Krupavičius. According to the VDU professor, the situation is symptomatic. You could say that the Social Democrats are caught in a nomenclature trap, however this is not just an issue present in their party. “I believe that all the parties are rather stuck in nomenclature traps. There is little change in the top 20 of every party’s electoral roll, even of those which touted their reformation. On the other hand it is not realistic to expect a change upward to 50% with each election. This would make the parliament inept for half the term due to the newcomers still learning the ropes, meanwhile toward the end of the term, it would be time to prepare for elections, making any real work tough to do,” states A. Krupavičius. The expert is, however, convinced that every serious politician should strive to participate in single-mandate districts, particularly the leaders, in order to test their ability to convince voters. “True leaders should win their own mandates, not through the party roll, but through single-mandate voting. Then competition for party leadership would be far greater and the results – more beneficial to the parties because the top of the roll would be the politicians more trusted than others,” assured the professor. What could happen to SocDems after joining coalition with “Peasants”?